I'm very excited to launch this Holiday Giveaway series. I will be hosting a giveaway every weekday until December 23! Winners will be announcing separately for each giveaway. 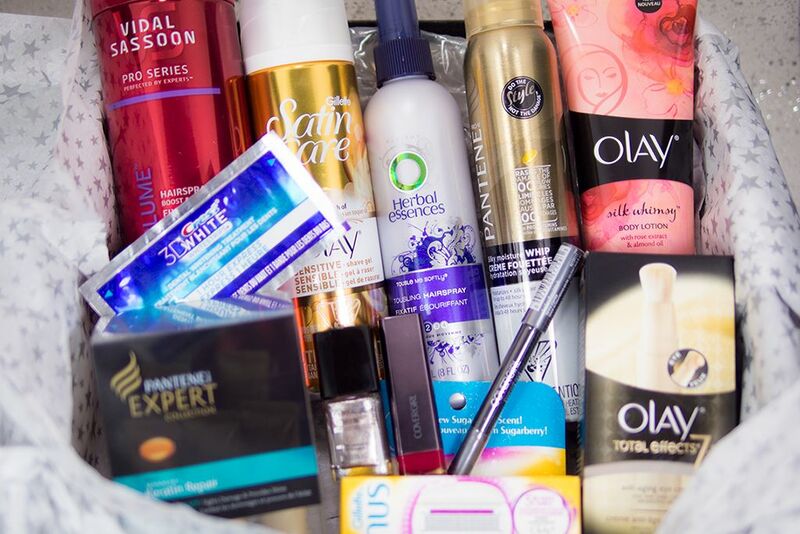 I'm kicking this off with the P&G 12 Days of Beauty Gift Pack! I have been using the same gift pack in the 12 Days of Beauty Photo Challenge. So far I have covered 5 days using different P&G Beauty products, join me and discover them by entering this giveaway. This giftpack is valued over $90 and it comes with so many great products. My must-haves would be the COVERGIRL Flamed Out Shadow Pencil, Pantene Keratin therapy, and the Crest 3D White kit. To enter, please follow the instructions on the Rafflecopter widget below. All the information is listed above in the Rafflecopter widget! Make sure to check out the rules too. Good luck!